Howdy is a friendly, trainable bot that super powers teams by automating common tasks. The learning curve for Howdy is very steep. I wish it was less like coding and more of a menu/website format. I also wish that there could be more than 5 questions per prompt. It may be possible to share Howdy reports with multiple people, but I have not figured out how to do so. Because Howdy operates like a robot, sometimes when I forget the cues needed to create or change prompts if I type it wrong it seems to be unable to start over. I have used Howdy most often for increasing the accountability within my team, for mental health check-ins, and for progress reports on various projects and action items. I use some general scripts that get sent to all of my team each week and have some scripts that are very specific asking for updates on particular action items each week. I have also used Howdy for random, one-time occurences when I need a speedy response from team members. "Use it on a daily basis for team updates"
The ability to provide update virtually. What Productivity Bots solution do you use? 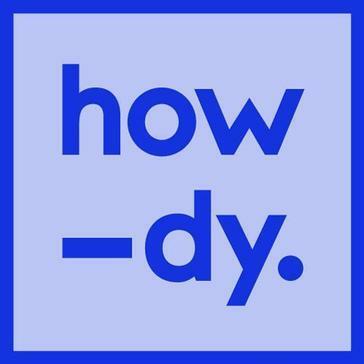 "Using Howdy.ai with Slack in Career Services"
We use Howdy.ai as a tool to help our Career Coaches provide a daily update on their goals for their work. It really helped create transparency in our office. Howdy.ai is a tough tool to learn how to use with programming automatic updates. "Use this consistently to run standups on slack"
The synchronous, parallel pathing nature makes the tedious part of standups a breeze. Simple Poll is a simple slack app designed to allow users to create native simple polls right within Slack. Trello is a visual collaboration tool that creates a shared perspective on any project. Nextup Jira Connector is a JIRA bot for Slack. Zoom.ai is SaaS start-up, utilizing artificial intelligence (AI) to enrich all employees’ work experience while increasing workplace productivity. Zapier is designed to automatically move info between Slack and other apps. Jira is designed to allow teams to reach their full potential with powerful workflow and project tracking. Polly is a survey software built for Slack and Microsoft teams. Geekbot runs asynchronous standup meetings in Slack. It enables users to experience non intrusive meetings that bring transparency to their team and stay focused. Meekan Scheduling is an AI scheduling assistant, designed to match everyone's calendars in seconds. GrowthBot is a chatbot for marketing and growth from HubSpot. * We monitor all Howdy.ai reviews to prevent fraudulent reviews and keep review quality high. We do not post reviews by company employees or direct competitors. Validated reviews require the user to submit a screenshot of the product containing their user ID, in order to verify a user is an actual user of the product. Hi there! Are you looking to implement a solution like Howdy.ai?